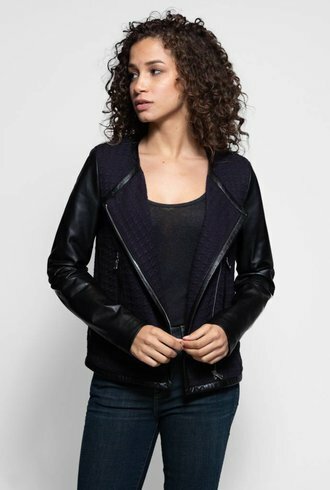 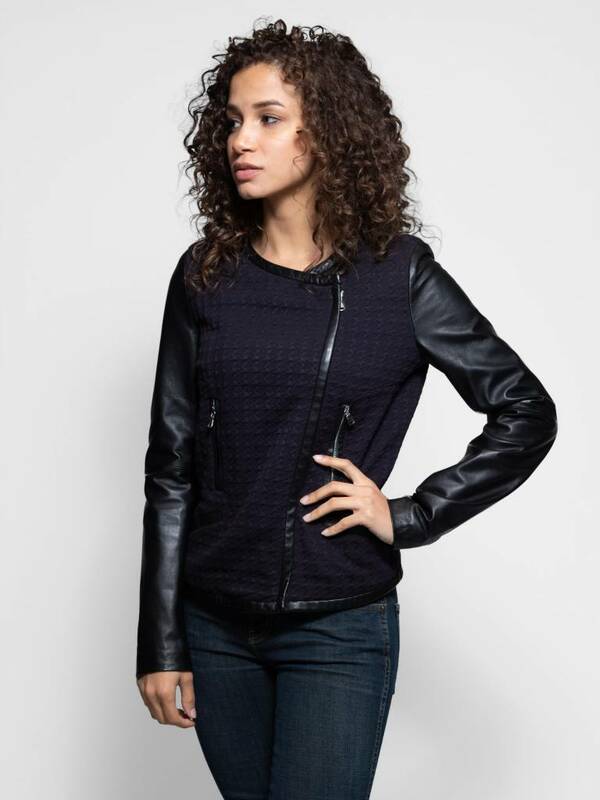 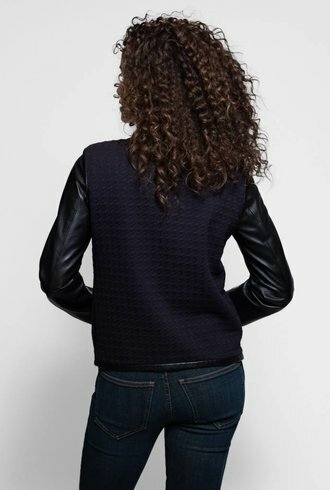 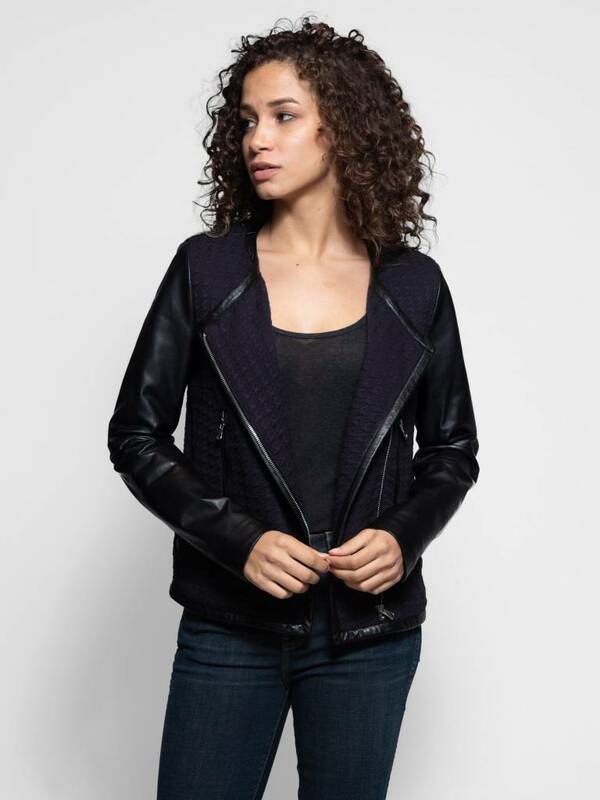 Asymmetric zip front jacket with navy jacquard body and leather piping and sleeves. 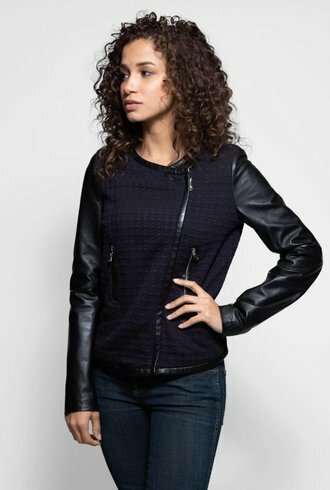 Two side zip pockets, and two additional open front pockets. 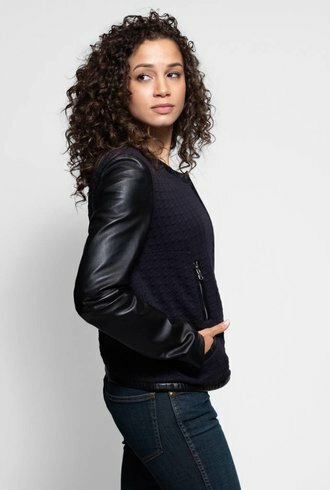 100% lamb leather with 52% nylon, 46% viscose, 2% elastane contrast, and 98% polyester, 2% elastane lining.